3 J 2. bible centre: <?xml:namespace prefix = st1 />Iligan City. Cagayan. New Jeepney for Pastor Stephen ILIGAN Philipines. 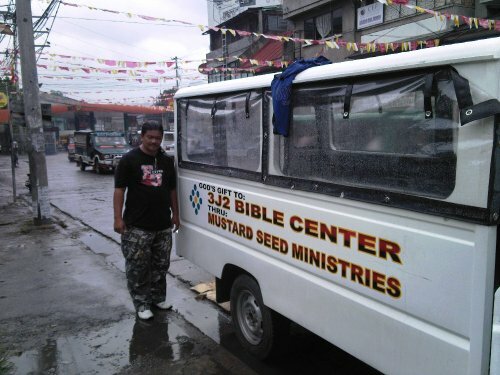 Pastor Stephen took delivery of the long awaited jeepney in ILIGAN CITY. This will enable 3J2 Bible centre to be more self sufficient and will be a great tool to continue the feeding and De worming projects around the dumpsite areas as well as transport the church comunity to events and meetings who find it difficult to attend. 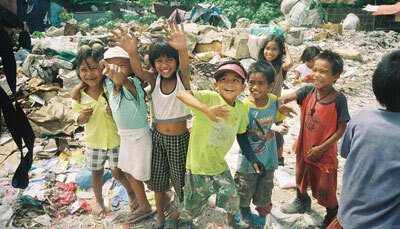 families living below the income threshold level of P 4,000 per month. Pastor Stephen Villaester his wife Sonia and 2 sons are an integral part of the ministry to serve the people in Iligan city and Lanao del Norte. 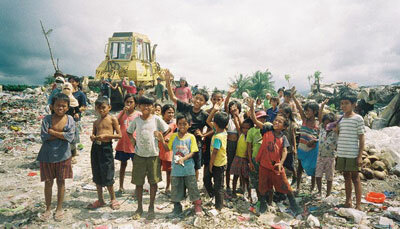 on rubbish dumps and other depressed areas of the city. for money to buy food.